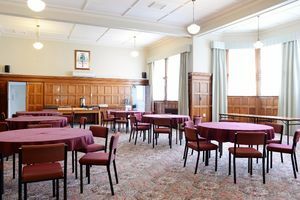 Function rooms suitable for Weddings, Exhibitions, Dinners, Workshops, Conferences and Presentations. 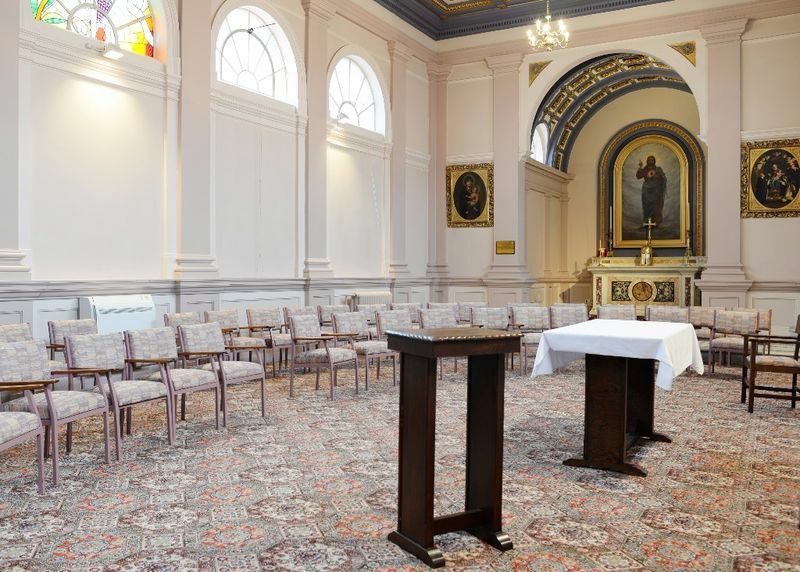 guest speakers & suitable for gatherings of a reflective, spiritual or creative nature. The Chapel is a serene & consecrated space which can be used for meetings and prayer service for inter-faith organisations. Just a few months after the opening of Holy Cross seminary in May 1900, architect Commanditori Leonardi, the papal architect for Pope Leo XIII, and friend of Bishop Michael Verdon (Bishop of Dunedin 1896-1918) drew up plans for a chapel in true Roman style, with semicircular windows, marble altar, gilded copper ceiling and classic ionic pilasters. The Bishop laid the foundation stone August 1900 and the chapel was blessed and opened on 3 May 1901. 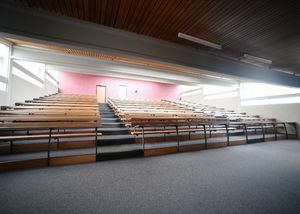 The Holy Cross Community Hall is located on the ground floor in the Wright wing. 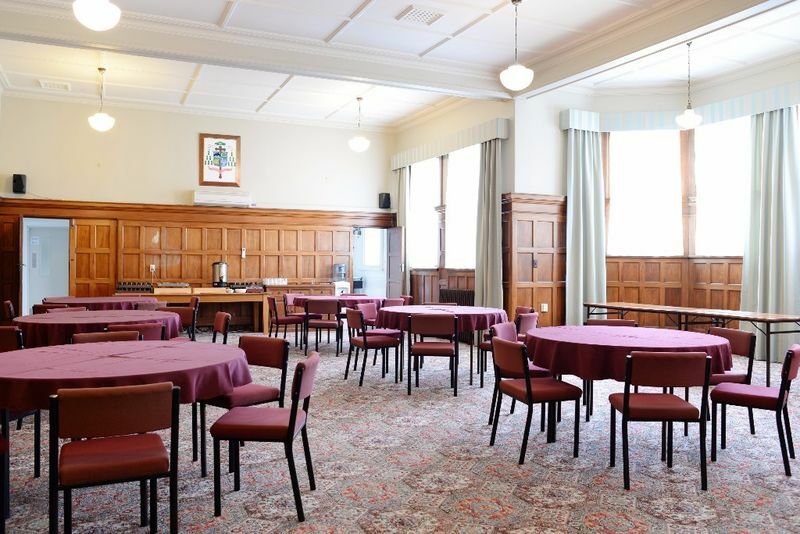 A multi-purpose function room suitable for conferences, presentations, meetings, dining and exhibitions. Includes Break-Out Room suitable for small break-out groups or showroom for conferences. 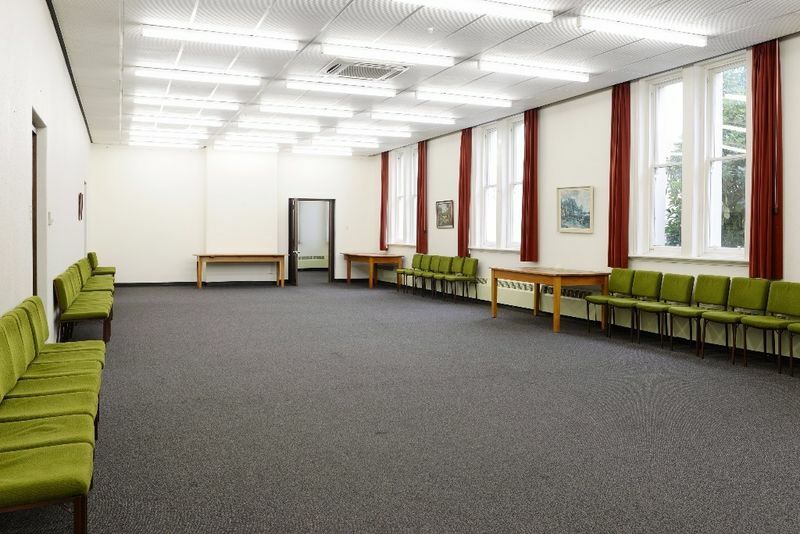 Suitable for all types of community groups to use for exhibitions, meetings, training sessions and AGM's. The Grace Library is located on the ground floor of the Burns Building. 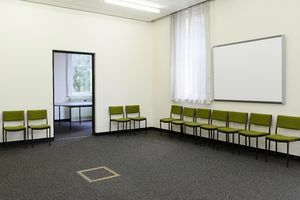 It is suitable for meetings, small group lectures and workshops. adversity. It also denotes enablement, daily guidance, forgiveness, & preservation. The Grace Library provides books to borrow on the topic of spirituality & enlightenment. 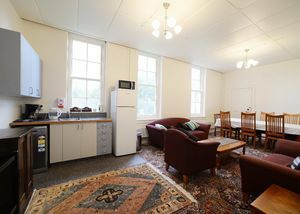 The Cluny Dining Hall is used for catering purposes. All meals & refreshments for medium to large groups are served here. The Cluny Sisters - of the order of St Joseph of Cluny founded in 1807 by Saint Anne-Marie Javouhey of France to educate and care for the children of the poor - first came to New Zealand in 1940 at the invitation of Bishop James Liston (previous rector of Holy Cross) and based themselves in Tauranga. Cluny sisters from Ireland came to Holy Cross Seminary in Mosgiel in 1949 to provide domestic staff for the seminary. They continued this work for nearly forty years. 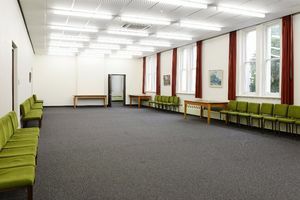 The Mossgiel Room is located in the Burns Building on the ground floor. It is suitable for meetings, small group lectures and workshops. Arthur J. Burns, who immigrated to New Zealand with his father, Dr Thomas Burns on the Philip Laing in 1848 named his homestead Mossgiel, after the 18th Century 'home farm' in Ayrshire, Scotland. 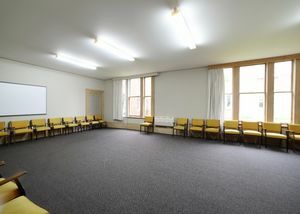 The Otago Room is a shared common room for all guests. 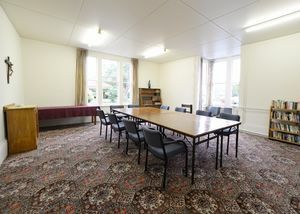 It can be booked to hold meetings in but not for exclusive use. 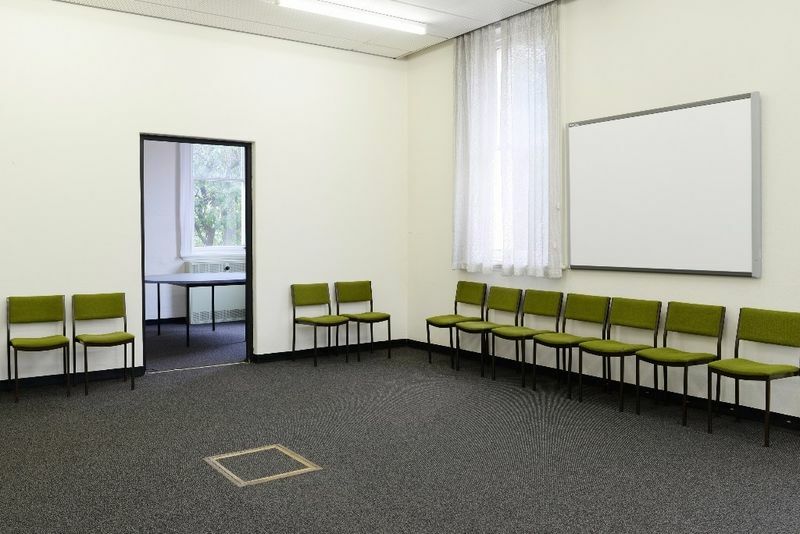 There is a service fee for the use of this room. Early European settlement on the harbour in the 1830’s used the Maori word Otago (North Island dialect equivalent, "Otakou" ) for the area. With the arrival of the largely Scottish immigrant settlement in 1848, the name was given to the area of New Zealand south of the Waitaki river. The discovery of gold in the province in the 1860’s led to Otago becoming, for a period, the cultural and economic centre of New Zealand. 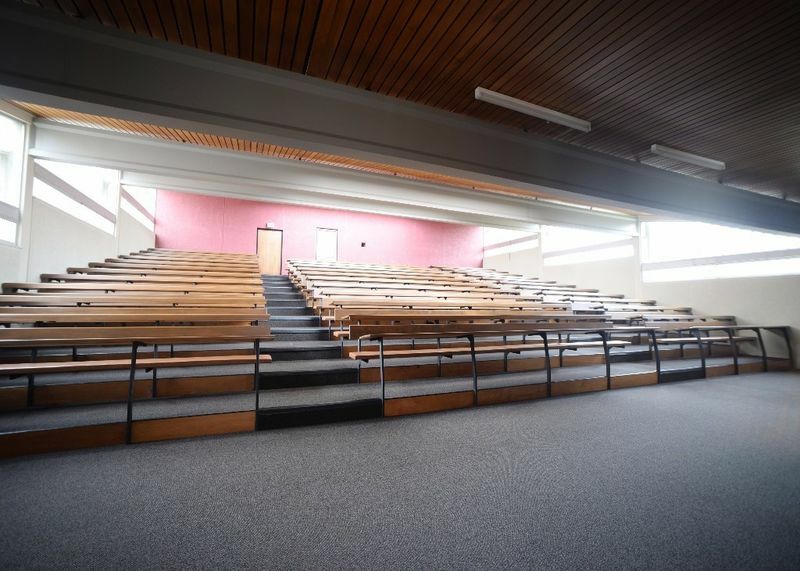 Designed by Dunedin architect, Edward John "Ted" McCoy who also designed Aquinas College, the sanctuary for St Paul's Cathedral, the Richardson (formerly Hocken) Building and the Castle and Archway Theatres at the University of Otago and many other iconic buildings in Dunedin. The James McMenamin Room is located in the Burns Building on the ground floor. 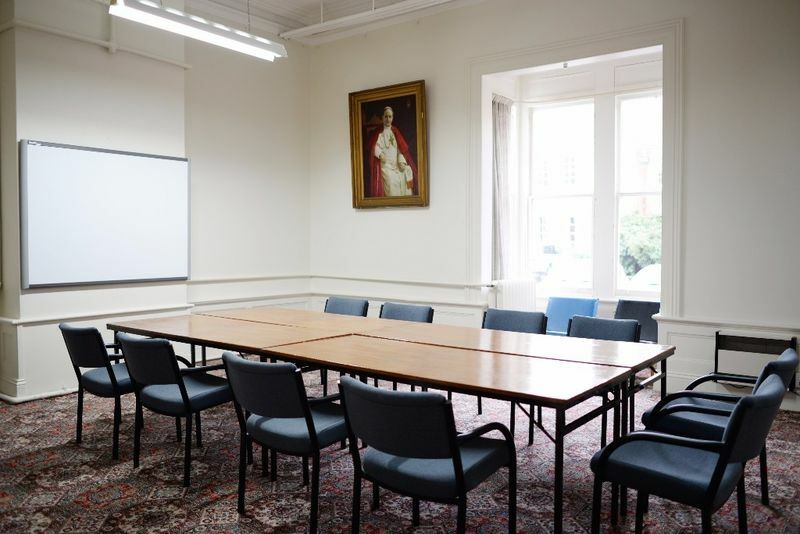 It is suitable for meetings, small group lectures and workshops. Father James Joseph McMenamin was a member of the first intake of students at Holy Cross. Ordained in 1909 he served at Westport and Petone before serving as a Catholic chaplain to the Armed Forces in the Great War. He landed at ANZAC Cove, Gallipoli, 25 April 1915 but was invalided home later that year. He returned to the front lines in 1916 where "he carried water, helped the wounded to the beach", and looked to cheer and support those around him even to the point of exhaustion. Captain –Chaplain McMenamin, was shot and killed while burying the dead after the battle of Messines. There is a memorial plaque to him on the wall of the sanctuary in the Chapel. The Executive Dining Room is a private dining room complete with kitchenette and board table. 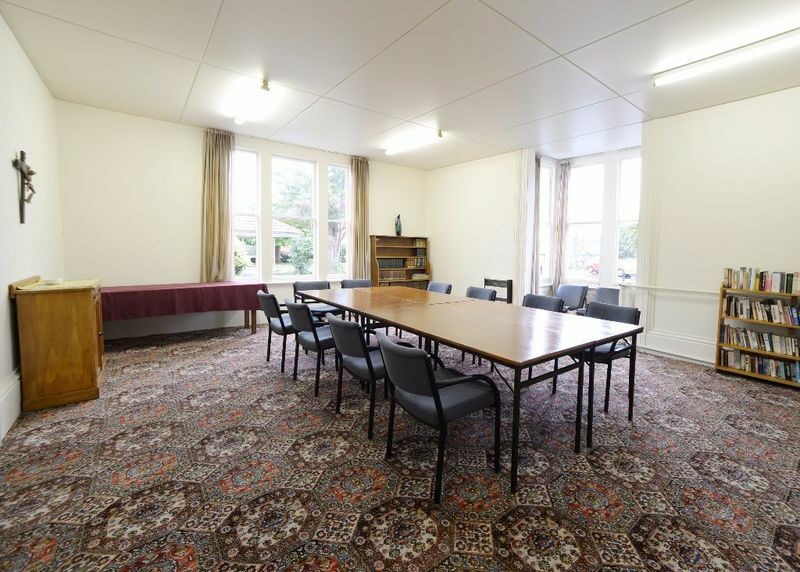 It is suitable for small meetings or groups.